So, what does a person who hates (hates, hates, hates!) getting her feet wet go and do? 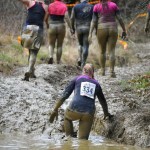 Why, she only signs up with her friend, Heather, to do The Pain Barrier, a mud running race of filthy, wet horror, with only one guarantee – your feet will get soaked in the first five metres and stay that way throughout. I spent a good deal of time in advance fretting about the wet feet thing, eventually deciding to treat the whole event as inexpensive aversion therapy. I figured that if I didn’t get over my phobia by squelching through the swamps, bogs and mires that dog the 10k course, I probably never would. – Hat and gloves if the weather’s even slightly less than lovely. – Chocolate – you deserve it! 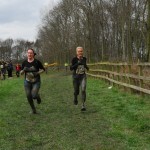 It was quite warm before the race started so I asked someone who looked like a nutcase (erm, I mean experienced mud runner) if I really needed my gloves. He said yes, definitely. There’s rope climbing and desperate scrambling up slippery banks and hillsides. Anything that can help you get a purchase, however minimal, is worth having. Hence the gloves, which were drenched and clogged with mud in minutes, making my hands feel twice their normal weight. Wearing them was definitely a Good Call though. The first kilometre or so was really quite tame, simply a jog over fields that had largely dried out in the warm weather. ‘Ha,’ I thought, ‘this is easy. We’ll whip round this in no time!’ Urgh, how wrong can you be? 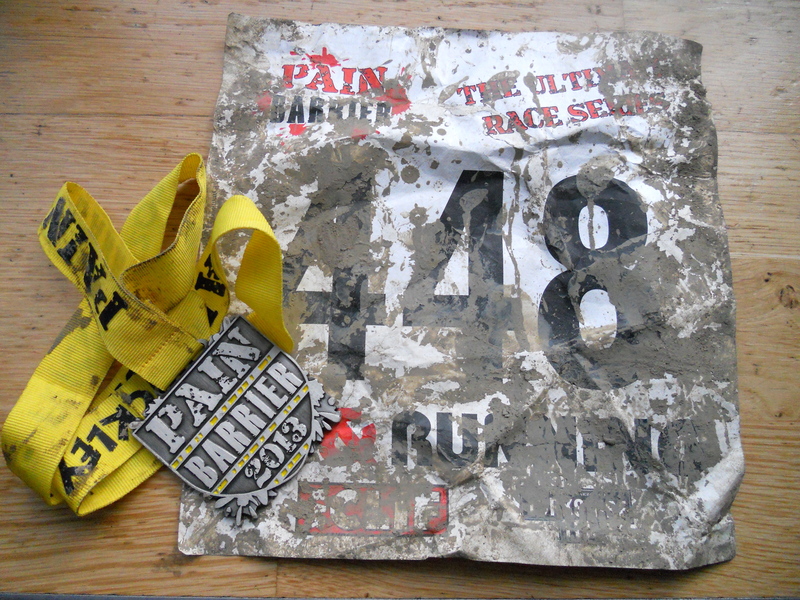 The first km gave way to another, much more hilly, muddy and unpleasant one. 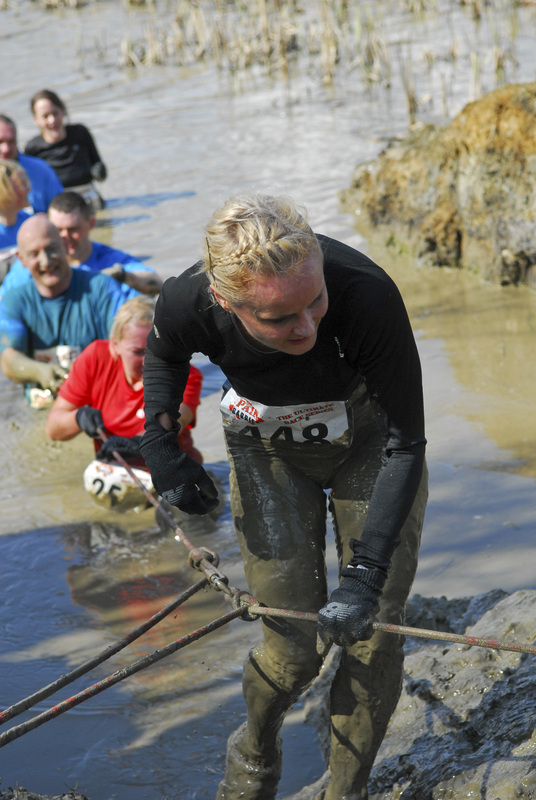 That was when we first encountered the slithering down hills, splooshing into bogs and scrambling up banks that it’s impossible to scramble up, all of which we quickly learned are characteristic of The Pain Barrier experience. There wasn’t the slightest chance of keeping my feet dry. Indeed, after a while the feeling of squelchy trainers was quite comforting – at least I knew I still had my shoes on, unlike one poor guy running near us who lost his shoe in a bog, never to find it again! He gamely jogged on for a little while but it became a losing battle. Sliding everywhere even with trail shoes on was hard enough; with one bare foot, the whole venture became impossible. Mind you, he had it easy – he didn’t have to run it anymore! If I tell you sections were called the Dips of Despair, the Pool of Punishment, Horrific Hills and the Swamp of Suffering, you can get a reasonable picture of what it was all about. All of these sections lived up to their names. 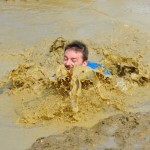 At various points, we waded through waist high mud (chest-high in my case – I’m only mini! ), plunged into an icy lake that you had to drag yourself across with a rope, climbed up near-vertical hills and crawled on all fours through bogs because there was not the slightest hope of keeping our footing. All of this inevitably induced a great sense of camaraderie. At one point, we were laughing so much we could barely stand up, though by then we’d more or less forgotten how to anyway. I would also like to apologise to any total strangers I gave innocent buttock shoves too; it seemed right at the time to help you up that bank, hill or mountain of mud. I received a few helping hands under my bum too, so am guessing it’s just par for the course. Many thanks to SportSunday for providing event photos for this post. 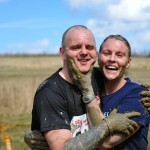 I’m sure you’ll agree they’re leading experts in capturing the (very muddy) moment. 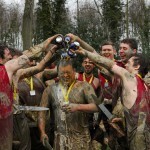 Thanks too to everyone who provided mud running tips on Twitter – your help was truly invaluable. 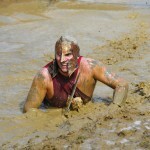 If you want to test your own mettle in the mud, check out the Pain Barrier website for upcoming events. We will, in your application, conduct a live up to time credit and affordability check. The shape in the house will look like a flower with the great majority of computer being underground. “to safeguard lifestyle, well-being, and property, and also to advertise people welfare by furnishing for the licensing and damaging people inside practices of engineering and land surveying. Many of them desire to spend around 20million on a house as they are concerned about the banking system in Egypt and also they are unsure in the new government which has been appointed.